Lord Yama also known as Dharma raj is dispenser of Justice and God of Dharma i.e. protector of Law. He has fearsome appearance with dark complexion and also called God of death and therefore has not been worshiped during Vedic era as deity in temples. Only much later era Yama was also considered God and offered prayers in some of the temples to appease him so that the souls that their ancestors souls which went to Yama Log will not be tortured. The dark complexion which is black in color represents the unknown world that a person goes after death. The Vedic tradition relies on an unbelievable theory that Lord Yama was the first mortal who died in celestial abodes, thus in virtue of precedence he became the ruler of the departed. 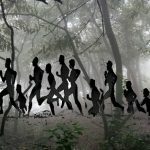 Nevertheless it may be incredible to even think that someone may die in celestial abode as believed in Vedic traditions, but the Vedic Pundits interpret the act of Lord Yama’s death as transformation from pacific to gruesome form without taking away the soul from within in while mankind was yet to get birth on earth. There are references in Puranas which mention that there was no Yama for three periods and one such period was Krtayuga when Mahavishnu incarnated as Varahar and lifted up the earth which was sinking. In the said Yuga there was no death on earth due to which the earth got overcrowded with living beings and unable to bear its weight, the earth began sinking when the Goddesses and God prayed to Mahavishnu to save the earth from sinking and heeding to their request Mahavishnu took incarnation as Varahar to save the universe. The importance of Yama was felt then. It was again during the episode of Markandeya, Lord Shiva burnt Yama and the universe was left with no Yama and suffered. As per the Vedic texts, he is the custodian of the souls and according to the prescripts from Supreme, each of the souls are processed and sent back to earth for taking next form, and the cycle continues till they reach the end of the several birth cycles to become celestial body finally. Lord Yama was initially created in pacific form along with other demi gods in celestial abode, and it was ordained that once Lord Yama is created as one amongst the celestial in pacific form, immediately he shall shred his celestial pacific form to turn gruesome to take over another dreadful abode where the earthly souls shall enter after shredding their body in earth at the end of their life span as allotted by Lord Brahma to take another form at the command of the master (Lord Yama) after undergoing hellish experience as per their deeds. However the abode shall also be a transit cell for the creatures on earth to become celestial at the end of their several of birth cycles (not life span) between earth and hell. This does not imply that Lord Yama alone is all powerful to decide the next birth cycle of the souls entering his abode. Lord Yama is generally viewed to be dreadful in nature, but the fact is otherwise. If one dwells upon the truth they may realise that Lord Yama has not been that cruel by himself, but created only to punish sinners and to ensure Dharma and right conduct in ones’ way of life during their stay on earth. He punishes those who have committed sins during their lifetime on earth and therefore viewed cruel. Lord Yama is highly knowledgeable in all aspects of dharma Shasta (codes of ethics) and therefore he has been rightly crowned for upholding morality and ethics by remaining master punisher of sins. 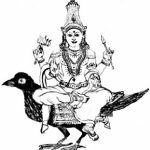 The Brahmanic texts regard Yama as one of the guardians of the four cardinal directions, the regent of the south dwelling in the heaven which is his abode where the departed souls from earth enters into before being processed for next birth. Those Brahmanic texts also add that the ultimate destination of the southern direction ends with the abode under the command of Lord Yama Raj, the God of Death. 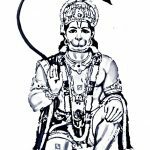 There has been dispute on his manifestation, in some of the Puranas he is referred to as son of God Sun and brother to Lord Shani, while some theory link him either with the lineage of Hero of Mahabharata i.e. Yudhishtra or with creator of the Universe Lord Brahma. Lord Yama reportedly married ten daughters of Daksha as per the texts in Mahabharata. 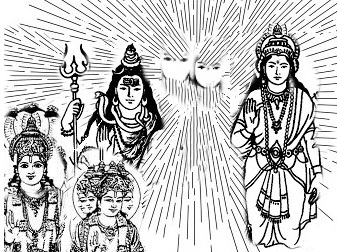 As per Vishnu Parana, Yama was born to Surya along with Manu and Yami. 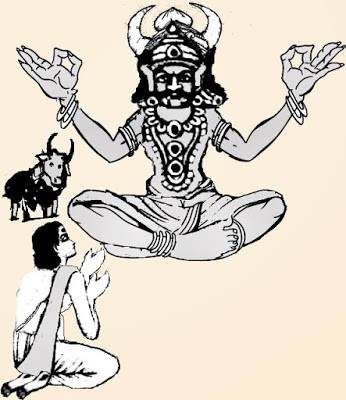 Though Rig Veda classify Lord Yama as minor God or demi God, Lord Yama was not considered as Vedic God by other Vedas and offered Vedic way of worship in any of the temples while in later era in few of the temples, worship of Lord Yama as Vedic God to offer worship with Vedic chants and hymns commenced based on certain events that reportedly occurred and Lord Yama is prayed for longevity and deliverance from recurring deaths. In general however he is remembered only during some one’s demise when final rites were offered when Lord Yama is prayed to provide proper food and shelter so that the departed souls are relieved of hunger and agony. Lord Yama is assisted by Chithraguptha who is assigned with the task of keeping complete records of actions of humans in the earth. 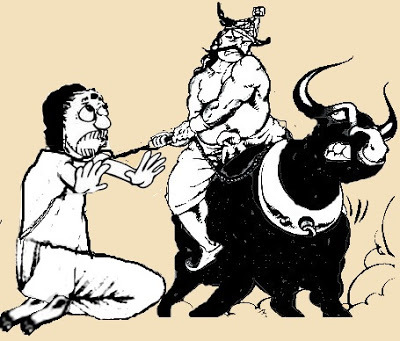 Lord Yama’s carrier is a ‘he’ buffalo named Paundraka. Legend has it that Paundraka was born from the thighs of Rudra another form of Lord Shiva. There is an interesting story in Katha Upanishads (Kadobanishad in Devanagari). This Upanishad consists of 120 slokas or verses and it is one of the most popular Upanishads for its simplicity in unraveling the highest truth of Atman (soul) easily comprehensible to everyone. Except Garuda Purana which often mentions Lord Yama in its text, other Puranas do not mention as much on Lord Yama except giving passive references. Similarly none of the Upanishads (all written in Sanskrit) referred Lord Yama as God or a deity and only mention Lord Yama as the punisher of sinner souls contrary to Katha Upanishad which portray Lord Yama as the spiritual teacher as he clarified ‘What is death, what is after death’ to a young Brahmin boy named Nachikeda who after observing the sacrificial ritual conducted by his father, in which old and disabled Cows were given away as gifts to the invitees desired to know from his father,to acquire fruits of sacrificial ritual, to who would he (Nachikeda) be given as gift like parting away the Cows. Nachikeda pleaded with his father that he may be taken in place of the Cows and done to death in the sacrificial Yahya to get the sacrificial benefit. On repeated queries of Nachikeda, his father unable to control his anger in an act of desperation replied that he could only gift him (Nachikeda) to Death (i.e. Lord Yama). But at the insistence of the boy who wanted to know what death was, Nachikeda’s father with his yogic power sent him to Lord Yama to get his doubts cleared. Since Nachikeda was highly learned, he requested Lord Yama to enlighten him on some of the unlearned issues surrounding life and death and debated with him for three days. Prior to the three days session, Nachikeda prayed for the fulfillment of three wishes which Lord Yama agreed to grant, but one boon each for a day of listening, and if it fell short of three days only that no of wishes shall be granted. According to ancient scriptures, their interaction extended for three days when some of the death secrets were revealed by the God of Death to Nachikeda. On observing the determination, faith, sincerity, and perseverance of Nachikeda who even desisted the temptations of several offers from Lord Yama for health, life, riches, jewels, enjoyment, lasting kingdom, anything in the world or of heaven, but remained firm in his desire to know the secrets of life and death Lord Yama had no option, but to succumb. Subsequently pleased with the behaviour of Nachikeda, Lord Yama sent him to heaven. 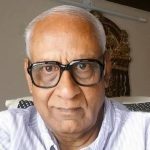 While in discussion Nachikeda asked ‘My doubt be cleared Lord Yama, consequent on the death of a man some say the ‘IT’ exists, while others referring the Soul say ‘IT’ does not exist’. I would like to know, master, what is the truth on ‘IT’?’. Lord Yama realized that Nachikeda was perfect disciple and therefore agreed to clarify about the ultimate reality which is Brahman or Atman. Lord Yama sat with him unhesitatingly for three days and clarified all his doubts to ultimately state that: ‘Realise my son, ‘IT’ is the Atman (Soul) which is the one without beginning or end, formless, ever eternal, soundless, intangible, tasteless and odorless and remained beyond everything, then ‘IT’ is freed from the jaws of death. The goal which all the Vedas declare, which all austerities aim at, and which everyone desire to achieve is nothing but Aum (State of Aham Brahman which means I am the infinite reality)’. Thus in Katha Upanishad Lord Yama is portrayed as Gnana Guru who clarifies through one of his true disciples ones’ doubt on life after death and death after life. Yet another story on Lord Yama is available from folk tales. It shows the fairness of justice practiced by Lord Yama while awarding sentences to sinners when they were brought before him. Once a washer man was sent to Lord Yamalog after his demise and when he reached there he found the golden chair of Lord Yama empty as Lord Yama had gone out. Elated washer man went near the chair and sat on it and slept. He dreamt as though someone was stealing money from his shirt kept hung in the door. Angered with the thief, he got up and threw the golden Chair over the thief which broke and later realized that it was a dream, when in the meanwhile Lord Yama too returned back. Finding his golden chair lying broken in a corner, he inquired the washer man and learnt of the reason. However remaining cool, Lord Yama quoted several instances of his past (washer man) when the washer man himself clandestinely stole valuables from the clothes of others and wondered whether he could imagine how many times the chairs would have been thrown on him for such cowardly act? Lord Yama displayed the list containing all such instances but ultimately sent the washer man to heaven as he had sat on his seat which wiped out his sins. These stories will reveal that Lord Yama is not all that cruel in nature as is being projected or feared, but his manifestation is such that he has to act in fulfillment of his obligation to the Supreme for certain cause which of course is outwardly cruel in nature, but unavoidable, and had to be carried out as a committed soldier in his armor of creation and destruction. Sometime after the Universe was created, frustrated that he was not respected by mankind but viewed with contempt and offered worship only out of fear and not with respect, Lord Yama in immense mental agony and tiredness decided to retire from his duty and seek salvation by penance. He left Yamalog after handing over his charge to his deputy Chithraguptha to handle the sinners and punish them strictly according to rule book and searched for a place to sit in penance. He travelled to more than 150 places and sat in penance, but neither he was successful in completing the penance without disturbance in some way or the other, nor was Supreme Lord Shiva appearing to grant the boon he desired. On 151th place, an unknown voice came from heaven uttering ‘Lord Yama, there is no use wandering to achieve your cause. Go to Sri Vanjiyam (the name Sri Vanjiyam did not exist at that time and therefore he was told of the specific place where Sri Vanjiyam existed) and stay in penance. Supreme Lord will appear before you to grant the boon you desire’. On hearing the unknown voice which came from heaven, Lord Yama immediately proceeded to Sri Vanjiyam and sat in penance. Many years passed and pleased with the arduous penance of Lord Yama, Supreme Lord Shiva appeared before him seeking to know of his wish. 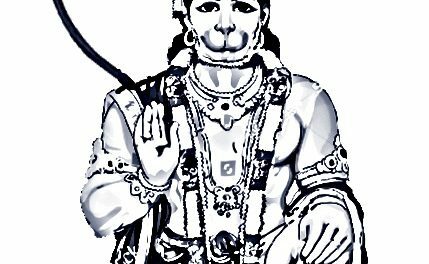 Lord Yama pleaded ‘My Lord, I am completely shattered, commanding no respect on earth who outwardly offer obedience to me only out of fear and not with respect as I am viewed cruel in nature and punisher, while all other Gods are respected and worshiped with reverence in heart by the humans. Nowhere in any of the temples on earth I am glorified, or have separate sanctum to sit, nor do me worshiped. Lord Ganesha receives the first prayer indirectly implying unless Ganesha is first prayed other Gods shall not grant boons. But my Lord, my pity is seen, though a faithful soldier of thine, even in your temples I have no place to sit with respect. I am unable to absorb the curses from the sinners who are punished in my abode. The continuous hearing of their screams and curse cause mental agony and truly I have become tired beyond belief. Further I have been humiliated when Markandeya at the destined time of his death clung on to you and saved himself by your grace thus making mockery of my authority. Therefore Supreme Lord, be kind enough to grant me salvation and relieve me of my duties’. Moved by the prayer of Lord Yama Supreme Lord Shiva granted him a boon that in a temple to be enshrined for him (Shiva) in Sri Vanjiyam in some time to come then, those visiting there would first offer oblation and worship to Lord Yama who shall have separate shrine inside. Unless Lord Yama is worshiped first Lord Shiva’s grace shall not be received by them. At the same time Lord Yama shall remove the fear of death from the minds and hearts of devotees, and bless them for longevity and to live in peace. While Yama shall not get physical salvation to reach heaven, Yama shall attain salvation in mind and heart. None of the curses of those dead shall have any effect on him if he bath daily in river Ganges who shall flow in Vanjiyam as Gupta (Secret) Ganga with her 999 aspects. Since the water will be flowing under Lord Shiva’s feet, all the 999 aspects shall convert to the aspects of Moksha in Sri Vanjiyam. At the same time the one aspect left in Kasi by River Ganges shall also grant salvation to devotees as it flowed from the head of Supreme Lord Shiva. The water bed in the temple tank in Sri Vanjiyam over the hidden stream of Ganges running below (called Gupta Ganga meaning secret Ganga) shall be a sacred tank. Though Lord Yama requested the Supreme Lord Shiva to accept him as his carrier instead of Nandi (Buffalo), the plea could not be accepted, however since Lord Shiva manifested before him in the month of Masi (mid-February to mid-March) in Bharani Nakshatra, every year in a ceremony to be held for Lord Shiva in the month of Masi, Lord Yama shall remain the carrier for Shiva and Parvathi instead of Nandi the permanent carrier of Lord Shiva. On the said day, Nandi shall take rest in front of Lord Yama’s sanctum there. Therefore Sri Vanjiyam has become the only temple in the world where Lord Yama has been given the status of prime deity who shall be offered oblation and prayers first before seeking boon from Lord Shiva. As per the legend the temple (place of worship without building) dates back to the Kretha Yuga and has been built as temple with the existing structure during Chozla (one amongst the three dynasties namely Chera, Chozla and Pandia) period. In his sanctum, Lord Yama is seen accompanied by Chithraguptha with Nandi taking rest in front of his sanctum. The presiding deity of the temple is Lord Shiva in the name of Vanchinathan and the name of the Goddess is Mangalambika. The sacred tree of this temple (sthala vraksham) is Sandalwood tree. Sri Vanchinatha Swami Temple is located 15 km north of Tiruvarur off Kumbakonam-Nannilam Highway (Tamilnadu in India) between Mudikontan and Puttoor rivers. Those who die in this village are considered to be free from the sufferings preceding their death. In India like several temples for various Gods and Goddesses and each worshiped with its own significance, few shrines also exist for Lord Yama the most feared God – the God of Death inside some of the the temples. In Sri Yama Dharma raja Temple in Tiruchittrambalam, Pattukootai Taluq, Thanjavur district of Tamilnadu, the God of Death, Yama is the presiding deity. Since Lord Yama is the head of Justice, people who were cheated and had lost their belongings pray here and also for their longevity. The one other temple in the world that is dedicated to Lord Yama is in Bharmour district in Himachal Pradesh in India. Called Chaurasi Temple Lord Yama is called with reverence as Dharmeshwar Mahadev. Bharmour is situated at an altitude of 7000 feet in the Budhil valley, forty miles to the south-east of Chamba. Chaurasi Temple has been reportedly built around 1400 years ago. As per a temple history in a place called Tirukadaiyur Lord Shiva vanquished Lord Yama and from then on story there was no death on earth and overburdened with human beings Goddess earth prayed with Supreme Lord Shiva to relieve of her burden by bringing back to life Lord Yama. 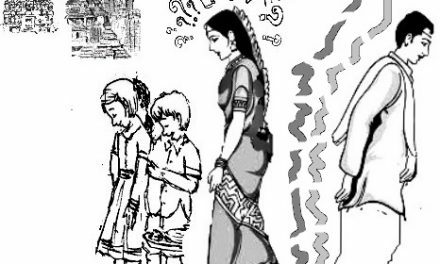 Pleased with her prayer, Lord Shiva again brought back the life of Yama, but from the stage of a child. Once born Yama grew fast and took up his responsibilities again thus relieving Booma devi (Goddess of earth) of her burden. In the outer precincts of the temple Lord Yama can be seen lying at the feet of Lord Shiva and Goddess Parvathi. Apart from Sri Vanchiam in Tamilnadu, one more temple for Lord Yama has been built for him in a place called Vellalore near Coimbatore in India. The temple is about 20 KM from Coimbatore in the main line leading to Guruvayoor and Trichur. The temple is reportedly built three hundred years ago by the first of the seventh generations of temple priest Palaniswamy. Prior to the construction of the temple Vellalore faced the danger of getting wiped due to flood from a nearby river. Lord Yama, who appeared in the dream of a local, stopped the catastrophe and asked him to build a temple for him there. Happy with Yama who saved the land when the local searched for a suitable land to build the temple he found a land similar to the one he saw in dream and tried to contact the owner who was a Brahmin. Surprisingly when he reached the spot, he found the owner of the land was standing there. He met the owner of the land and narrated his dream, and requested him to part with the land for a suitable price, but surprisingly the owner of the land not only agreed to part with the land but also told him to take as much as land required for the construction of the temple there without taking any money. Rest of the work started fast and a temple for Lord Yama, which could be reached by walk through a narrow footpath in the midst of a sugarcane sapling, came up in a very short time. In the sanctum fearsome looking Lord Yama can be seen seated on a black buffalo facing the south holding weapon Ankus in one of his hands. While women are not allowed to go beyond the sanctum of Vinayakar (reason not known) men can go near Lord Yama to perform puja and worship him.